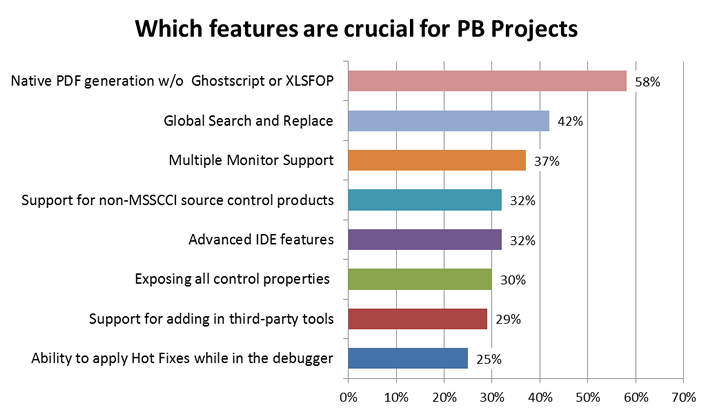 Novalys has now released the PowerBuilder 2014 survey results. This year, SAP added questions to the survey to help identify more requirements/trends being encountered by PowerBuilder developers. These answers were numerous and very detailed and were compiled by theme to help SAP elaborate an eventual road-map. For all the details of the survey, click here! To all those who answered the survey, the PowerBuilder community thanks you! Order Entry Example Application Update! New Release of the STD "Integrated" FrameWork! STD Web Service Framework - Version 2.2 Released!